Whether planning a New Kitchen or Kitchen Renovation, the selection of your Door materials and their colour is always a good place to start and then follow this by choosing a complimentary Benchtop material and colour. While you are selecting your benchtop material, you should consider their colours, their patterns, their surface textures and importantly their serviceability; choosing from the huge variety available, to bring all these elements together to compliment the overall look you wish to achieve. Moving on from the various different door panel properties we discuss here in the following pages the basic properties and things to consider in the selection of these different Benchtop materials. As we did with the door materials, we again present these in an order, beginning with the more inexpensive, moving through to the High End material types; which are also more resilient and give greater design flexibility. All materials have their advantages and their disadvantages, which we will touch on as a guide for you while working through the list. Always remember that none of these Benchtop materials should be cut on directly, nor hit with a tenderizing mallet for example; always using hygienic cutting boards for this purpose and preferably use a board that has soft pads underneath to further protect your Benchtop surface. 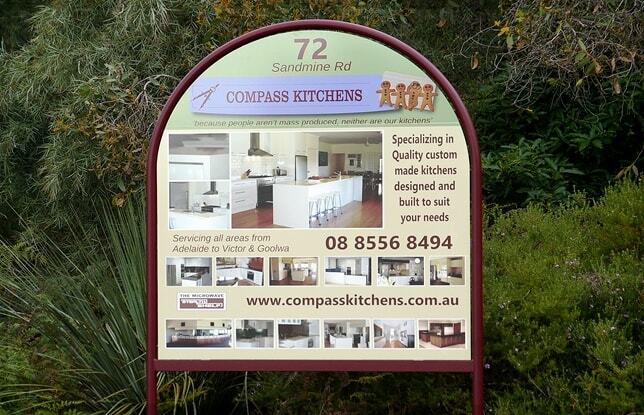 By simply doing this you will extend the life of your new kitchen Benchtops exponentially. 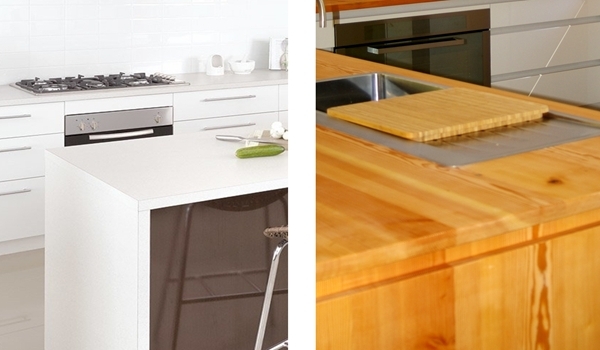 As we approach the high end of Benchtop materials such as Stone, Timber, Stainless Steel, Acrylic Solid Surface & HP Porcelain; the relative investment price does not vary a great deal between these various material types. Due to this, we always like to recommend that you make your selection based on what you like and what suits your application best and not on cost. Things that you should consider here are the products Colour, Pattern / Feature, and Suitability to the overall "look". It is also important to think about the material's Suitability in relation to how you like to work in your kitchen and consider what care and maintenance these various materials will require. We have already presented above our buyers guides for the different types of Door Materials available; and now follow this with individual Buyers Guides about the different Benchtop Material available for kitchens.